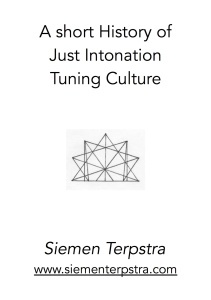 The use of Just Intonation (simple ratios) as a musical tuning norm has a very long and illustrious history. However, this history is also rather complex. I cannot hope to give but the barest outline of an overview in the abbreviated format – it deserves a book. Nevertheless, an essay is a valuable exercise in condensed presentation, although it inevitably has its price. My interpretations of the historical data are sometimes based on long strings of circumstantial evidence, since this is all the information available. Consequently, it is only possible to present a fraction of the arguments that support my conclusions within this brief context. The reader should not forget that this is only one person’s version of the most likely story. This article was published by 1/1, the journal of the Just Intonation Network, Volume 10, number 1, winter 1998. 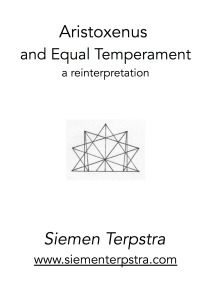 The author generates a handsome collection of tetrachords by using an archaic arithmetical procedure. 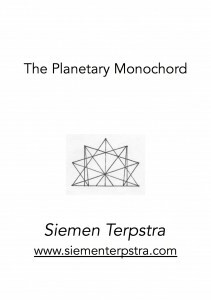 He embeds various historical tetrachords into the group, with special focus on Ptolemy. He provides historical context. 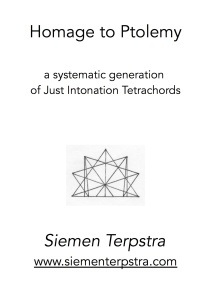 He also presents a generalized classification of tetrachord types. Finally he demonstrates the usefulness of the schisma resolution in modelling the fine grain of n-limit Just Intonation. 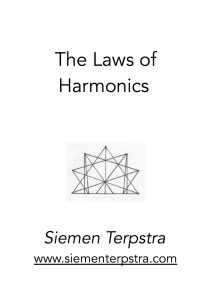 This entry was posted in 612-et, History, Just Intonation, Monochord, Philosophy on 1 December 2014 by Siemen.